beautiful picture but don’t miss the snow. Have a great day, Miss Teresa! hang on in there …. 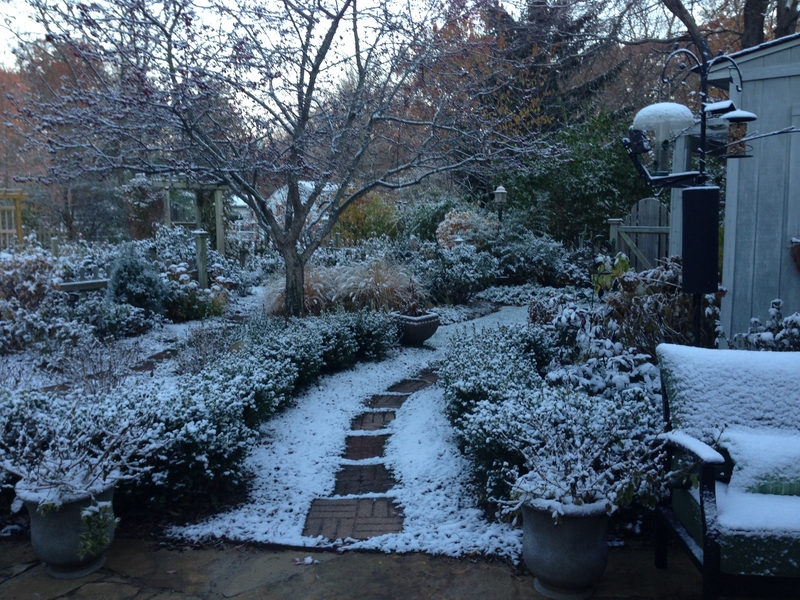 What a gorgeous winter wonderland in your garden! 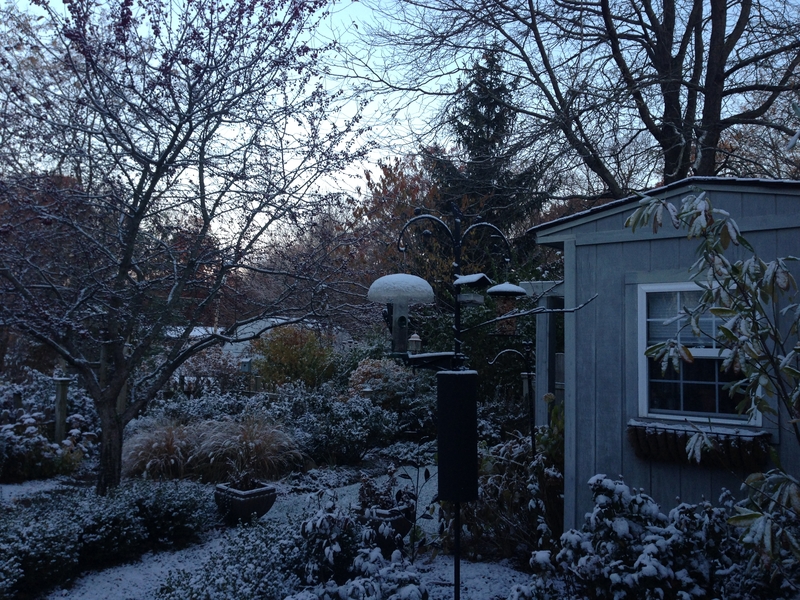 Snow does add it own enchantment to everything! Thanks for stopping by. I am sure enjoying all the pumpkin and sunflower pics on your blog! 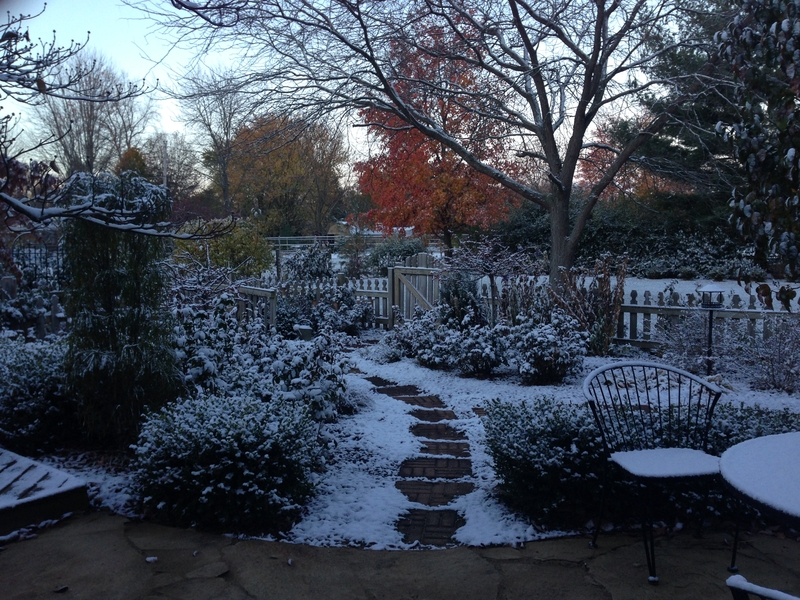 Beautiful pictures of the first snow. I have saved the picture of your picket fence and am using it as inspiration for my front yard. My front rose bed has grown to about 40 foot deep. If I fenced the front yard, I could grow more ramblers! Donna … That is so great. I am a big fan of ramblers. Which ones will you plant?